As anarchists, we are members of the working class who are conscious of the class struggle. We believe that in order to get from our current society to anarchist communism, there is a need for a revolutionary organisation. This is the basis of the Anarchist Federation. As an anarchist communist organisation we see ourselves not as outside or beyond the working class but as part of it. We work to increase the influence of our ideas not as a leadership or ‘vanguard of the revolution’, but simply as agitators within the working class who are trying to show the strength of anarchist methods and bring about anarchist communism. While we hope to increase our membership, this is done when other class conscious anarchists see the worth of organisation and choose to get involved. Membership is not as important as the consciousness of the working class. We never divert, disrupt or take over working class struggles in order to increase our own membership. As it is part of the working class and at the same time a distinct tendency within it, the anarchist organisation sees the need for revolution at a time where the majority of the working class does not. We must remember that this does not make us something other than a part of the working class. To go down that road leads to elitism and separation from class reality. At the same time, the anarchist organisation has ideas that are further developed than those more often found within the working class. This development of ideas should not be confused with the development of successful tactics; workers everywhere learn new forms of struggle and organisation so we must always be ready to learn from the activity of others. We must constantly revise our tactics as situations unfold. 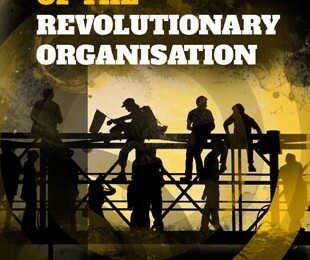 Just because we are members of a revolutionary organisation does not mean we are infallible. We will not always have the answer. Indeed, during revolutionary periods, anarchist organisations have often been surprised by the audacity and imagination of other revolutionaries.